The Senior Academy is for players age U15 – U19 and is the final phase of our development pathway. This program aims to maximize player performance in all aspects of the game. A player’s capacities are becoming fully established while training to peak for major competitions. Training is 2-3 times a week and is characterized by high intensity and relatively high volume with frequent periods of rest. There is a $1,500 yearly membership fee for this program, which covers the cost of your Winter League registration fee along with your training costs. If a team chooses to enter tournaments throughout the year the cost for those events will be split up between the team. These events are generally in the $55 per player range, plus any travel expenses. Tryouts will be held the beginning of May (Tentative Dates: May 7th & 8th). 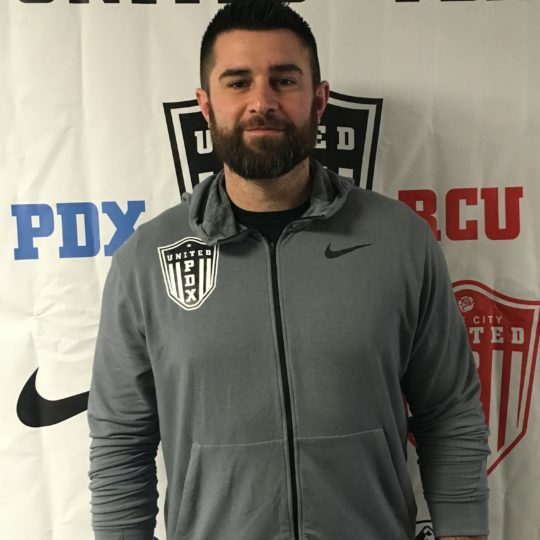 Players will combine from both the east and west locations to form United PDX Teams. Initial team rosters will be set for the summer to play in tournaments and showcases. As players come back from their High School season in November there will be another round of player placement to form teams for the Winter Season. Depending on the developmental needs of a player he/she could be moved during the year. Once a player has received his/her team placement they must accept their roster spot and make an initial $300 payment. That $300 secures their spot on the team and acceptance confirms their commitment to the team for the year and is their agreement to paying their remaining annual membership fee by the end of March. Accounts still holding a balance after March are subject to late fees. United PDX offers payment plans, an automatic bill pay option, and financial assistance. Teams will be formed based on the 05 age group in May for the Senior Academy. The age group will train through the summer with their assigned teams and when the OSAA High School season starts up those players who are in 9th grade will play for their High School team. The remaining 8th-grade players will continue to train as a group during the fall and will form a team to play in the fall season. More information on how this fall season for 2005 8th graders will work is coming soon. Once the fall season & High School season ends the teams will go back to their originally formed teams in May to compete in the winter U15-U19 club season. Your fee structure will be based on the Senior Academy price. There will be an additional player fee for 8th-grade players to cover the cost of the team registration for the fall season (estimated cost $100 a player). Committed U15-U19 players interested in competitive soccer and looking for a professionally managed year-long team training environment. 10 month season with built-in breaks and flexible attendance periods. *Roster size for Senior Academy teams are larger due to injuries that arise and players participating in multiple activities. All Tournaments including State Cup, President’s Cup, and College Showcases must be approved by the Senior Academy Director. This is to ensure all events outside of training & league play are developmentally appropriate for the players.